For the seventeen years that separated the end of the original trilogy and the start of the prequel trilogy, Star Wars fans were forced to sit on their hands and simply hope that one day there would be a cinematic return to the galaxy far, far away. The Phantom Menace, released in 1999, was the much anticipated fulfillment of that desire, and while it entirely promised as a prequel to the original films, in a way, it was a spiritual sequel, too. Legions of fans flooded theaters, hoping to experience again the magic of their youths or to simply enjoy it for the first time, that incredible experience of a new Star Wars film. The results for fans varied as debate raged whether that magic could be captured again in a bottle. Then, after almost another 17 year period from The Phantom Menace to 2015, another Star Wars film debuted, The Force Awakens. Unlike The Phantom Menace, it elicited a roar of fandom approval, Star Wars had finally returned. How did one film succeed so well and not the other? The Phantom Menace. It followed upon the release of the Special Edition versions of the original trilogy, in which George Lucas had applied the digital wizardry of Industrial Light & Magic to his original works to bring them up to date for then present day audiences. 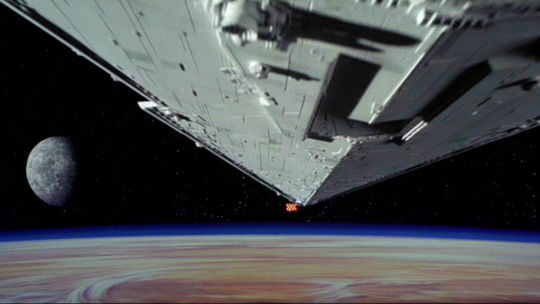 The reception of the Special Editions was ultimately mixed, but The Phantom Menace arrived within the same highlighted atmosphere of green screen and computer generated effects, despite the movie’s actual use of quite a number of practical effects and modeling. This sense of digital world building, while marvelous at times to the eyes, became something of a scapegoat for some of that film’s, and its successive prequel films’ problems. Outside the realm of the Star Wars franchise, Hollywood in general latched onto the endless possibilities summoned with the correct formula of 1’s and 0’s, resulting in a growing antipathy within the general public for excessive computerized special effects. Thus, when The Force Awakens director, J.J. Abrams, announced that Episode VII would return to more practical effects, it instantly gained a strong wave of approval from fandom. 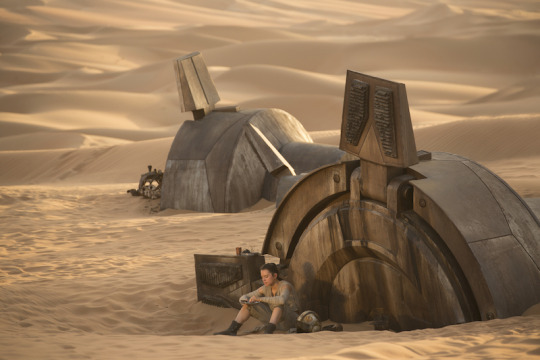 The finished product in The Force Awakens, which has its own fair share of digital effects, purposefully drew upon the aesthetic of the original Star Wars in ways The Phantom Menace by and large failed to do. They summoned the sense of a galaxy where the tarnish had long worn away, an appearance that had set the world of Luke Skywalker apart from most other sci-fi adventures of the day. The Phantom Menace also by virtue of its setting raised a barrier against itself from creating that same sense. In A New Hope, we visit Mos Eisley on Tatooine and Yavin base, two places where cleanliness and well-kept buildings are in short supply. 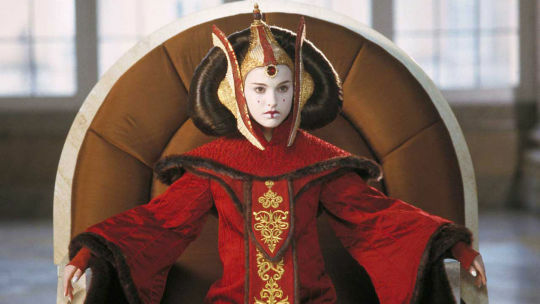 In The Phantom Menace, we visit the palace of a queen on Naboo, the Jedi Temple and Senate Building on Coruscant, places one reasonably expects to find things well taken care of. The Phantom Menace does detour to Tatooine, but it’s one of many places in a film, rather than a dominant setting for much of a film like A New Hope or The Force Awakens’ Tatooine stand in, Jakku. The Force Awakens’ Jakku also represents why that film represents a spiritual sequel to A New Hope, plainly put, it was designed from the beginning to do so when The Phantom Menace was not. Director Abrams has openly stated that The Force Awakens was intended to draw upon the elements of A New Hope for the purpose of re-establishing a familiarity with the original trilogy and to build a bridge from them into the future of the sequel trilogy films. The borrowed beats, as Abrams would put it, are prevalent throughout the film, from a young person on a desert planet discovering a powerful affinity for the Force to the presence of a world destroying super weapon. Even the tragic death of Obi-Wan Kenobi is mirrored by Han Solo’s, both men who served to guide not just the protagonists, but the fans as well, in the ways of the Force before facing their figurative or literal children. Even the scale of the stories resembled each other, focusing on the characters at a personal level, as opposed to characters pursuing goals with galactic ramifications. If A New Hope was not on one’s mind after the film, then Abrams would have failed at the task he set out to do. Lucas, meanwhile, with The Phantom Menace, had no such task to accomplish. In one way, the release of the Special Editions had already refreshed everyone’s minds regarding Star Wars, but also, his mission was to construct the road that lead to his most famous film. To borrow from Abrams’ terminology, he was building a bridge to the bridge. That goal, suffice to say, may not have perfectly aligned with the expectations of millions of fans eager to see the next installment in his Star Wars franchise. As much as The Force Awakens repeats the beats of A New Hope, The Phantom Menace operated in reverse. The film introduces protagonists who are Jedi and faces them primarily against a foe, the Trade Federation, as inept as the Galactic Empire in A New Hope was frighteningly powerful. Analogues between the two films did appear, Jar-Jar Binks set into the comedic role that a familiar pair of droids occupied in Star Wars was a misstep, at least for older audiences, and despite the ferocity of Darth Maul, the failure to explore his character to the same extent enjoyed by Darth Vader, undermined the success of the Sith (With that said, Maul has gone on to enjoy considerable success and popularity courtesy of the Expanded Universe). The fan expected role The Phantom Menace played, as a spiritual or emotional sequel to the original film, in a way handicapped its debut. At the time of the premiere for The Phantom Menace, thousands of fans had camped in line for days for the chance to be the first to see the new Star Wars successor. Built into those expectations were characters involved in stories of a much personal level which despite being set against backdrops of galactic significance, retained an intimacy of involvement for those who followed them. As much as Star Wars was initially just about a farm boy who is carried away by adventure, The Phantom Menace, instead focused on characters who primarily had no personal challenges, so much as barriers to overcome for the well being of others, be it the people of Naboo or the Republic, in general. One might say the difference between The Phantom Menace and The Force Awakens is storytelling upon the macro and micro level, with the latter being the style of Star Wars and the original trilogy. The result are two films, both expected by many to represent spiritual, if not literal sequels, to A New Hope, but with only one truly achieving this goal.